Anyone who knows me will know that Django is my favourite web framework. 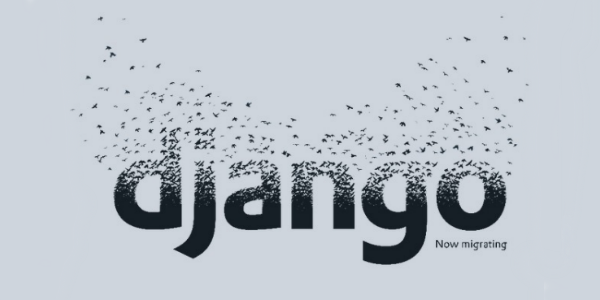 On the second of September 2014, Django 1.7 was finally released to the public after a much anticipated wait. Some of the new features coming out in 1.7 include App Loading refactoring, custom Queryset methods and a bunch of minor updates to make Django development smoother than it has ever been before. However, the most exciting feature present in the new version is database schema migration management. This feature update was driven primarily by Andrew Godwin, after a successful Kickstarter campaign to work on the integration. Andrew is the author of the original schema migration package South and the entire community is forever grateful for the contributions he has given to the platform. When I first used Twilio, I stumbled upon Randall Degges’ helper library for Django, django-twilio. I offered my technical support to Randall after emailing him about the fantastic library he created. After some great Python banter he let me have access to the repository to help continue the work he started. With the advent of Django 1.7, Django Reusable Apps (the term used to refer to plugins) will need to be updated to support both Django 1.7 migrations and pre-Django 1.7 database migrations. I recently had to update the django-twilio reusable app to do just this and I decided to document the procedure in order to provide other maintainers with a quick how-to on easily updating their own projects. This guide only covers database migrations management support for Django 1.7, no other new 1.7 features. This guide assumes you are familiar with Python, virtualenv, PyPI and Django open source project development. Even so, to keep up with The Zen of Python, I’m going to be explicit about the steps required to reliably update your Django reusable app. Setting up two separate virtual environments for Django 1.7 and Django 1.6 respectively. The quickest, most reliable way to test compatibility with both Django 1.7 and Django 1.6 is to install both versions on separate virtual environments. If you are unfamiliar with virtualenv, it is a tool that allows you to “sandbox” Python development environments so you do not encounter dependency issues from multiple projects with multiple versions. The new virtual environments will be directories within the root of your project. You will need to cd into the root of your project directory. I am going to be using the word “django-package” to refer to the Django reusable app we are updating, be sure to substitute it with the name of your own reusable app. I’ve also taken screenshots of the procedure with django-twilio, to give you visual support. This will add a bunch of folders into a new venv1.7/ and venv1.6/ directory which will be filled with Python packages later. With both versions of Django ready we can now start updating our reusable app to support them! The second step is a bit more complex: you will need an existing Django project in order to run the makemigrations command used by Django 1.7 to make the new migrations files. In the Django-twilio project, we use a Django project called test_project that has all the settings needed by Django to build new migrations. This project is a default project with nothing additional added and is used purely for creating or updating migrations files. I’ve found this is a pretty reliable way of updating migrations, but if you know a better way, please tell me! Python will execute the makemigrations command through the manage.py file in the test_project project. Based on the settings.py in the test_project folder, Django 1.7 will check the django_package reusable app for any changes. Because this is the first time – there will be no migrations, so a new migration file must be created! If Django gives the warning “No changes detected in app” try to remove all the old *.pyc files. Et voilà: Django 1.7 migration support in your reusable app! Wasn’t that easy? In this example Django 1.7 has detected my django_twilio library and applied the migrations for the models. Perfect. The first command will sync the standard Django models and South. The second command then uses South to migrate your Django reusable app migrations separately. If the old migrations directory has been renamed to south_migrations correctly, you should see a similar successful output like in the image above. If you have issues, try updating South to South 1.0 and removing old *.pyc files. You’re now free to commit the changes to git and release a new version. For inspiration, I recommend reading the documentation page for django-twilio. This guide assumes you’re well versed in uploading new versions of your Django reusable app to PyPI, the online repository of Python and Django reusable apps. You will now need to upload your updated Django reusable for other developers to take advantage of the new Django 1.7 updates. If you’re a bit rusty or unsure how to properly package and upload a new version to PyPI, there is a fantastic guide on Twilio by my fellow Pythonista Matt Makai. There is no strict rule on what type of version bump you’ll require, but I suggest a 0.N update as this change is significant. If you’re not sure check out the semantic versioning rules. Today we just worked through what is needed to update your Django reusable app to support the new migrations framework included in Django 1.7. The additional features of Django 1.7 are game changing and are sure to make web application development with Django a smoother and easier experience. If this guide has been useful, or you wish to ask a question, get in touch with me at paul@twilio.com, on twitter, or leave a comment below.